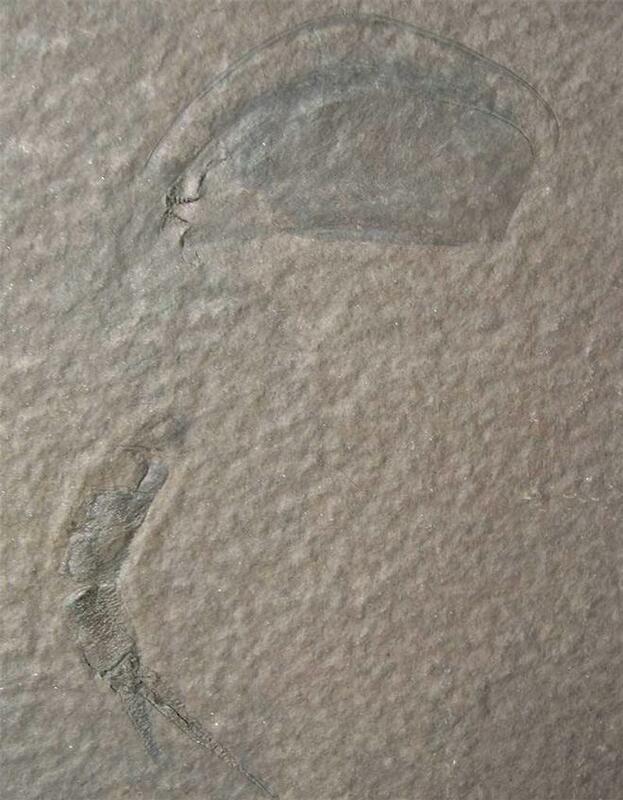 Preserved on a square block of hardened shale, is this Pod Shrimp. The specimen is more or less completeand has good detail. 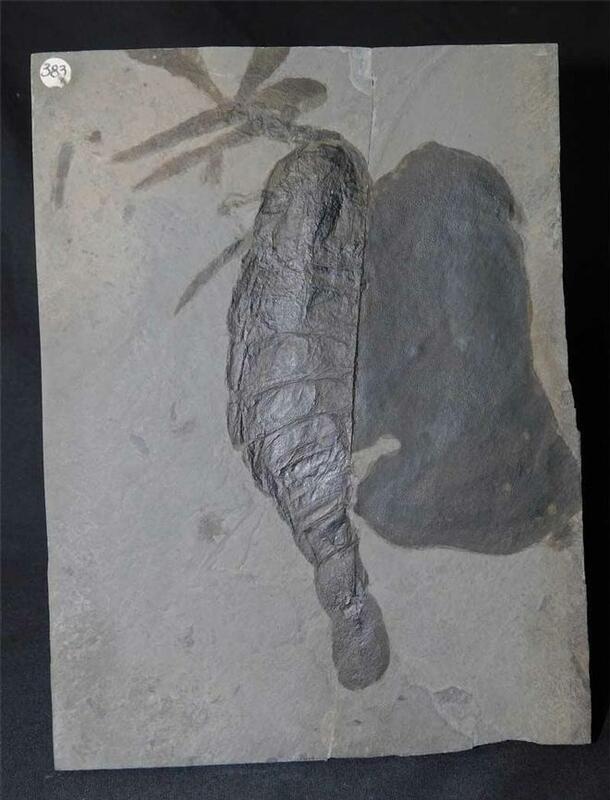 Specimens from this world famous locality are becoming scarse due to the site being a SSSI site, however this specimen is from an old collection. A good addition to any collection from a classic location. This specimen was colleted in 1967 and has remained in the same collection ever since. 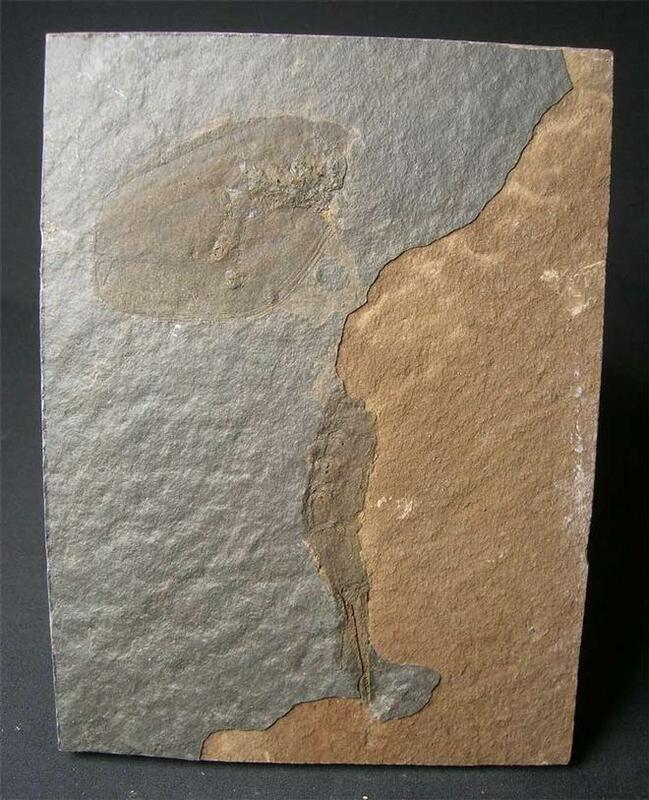 This is probably the most famous site in the world for these early silurian Eurypterids (Sea scorpions). These sea scorpions were one of the top predators of the day. 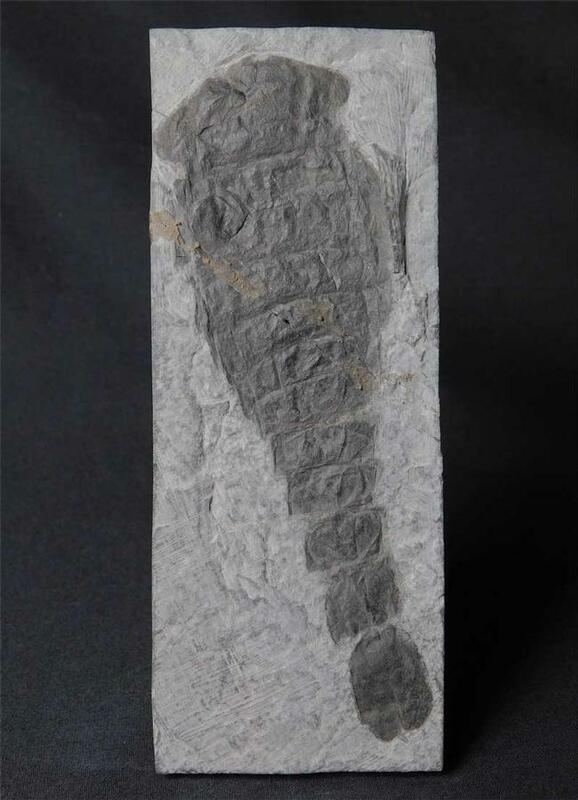 This particular specimen has been finely preserved and shows great detail throughout. The specimen has been repaired, however this does not detract from the overall aesthetics and quality of this highly sought after and classic specimen.